Diane Wing wants to live in a world where people feel inspired, create their ideal future, and experience a sense of wonder at everyday magick. 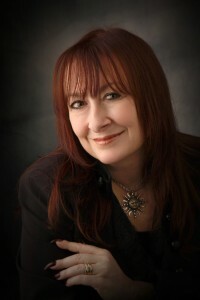 As an author and Inner Magick practitioner, she’s published five books – The True Nature of Energy: Transforming Anxiety into Tranquility, The True Nature of Tarot: Your Path to Personal Empowerment, Thorne Manor and Other Bizarre Tales, and Coven: The Scrolls of the Four Winds, and Trips to the Edge: Tales of the Unexpected all available on Amazon, Barnes & Noble, Kobo, and iBooks. Diane is the founder of Wing Academy of Unfoldment, a virtual center for applied metaphysics and personal development. She teaches live programs and classes and will be offering multimedia self-study online courses in the near future. When it comes to getting unstuck and feeling great about life, her 9-word philosophy is: Let go. Be grateful. Stay open. See the magick. Find out more at WingAcademy.com. Speaks to individuals who have betrayed their healing tenets – the addict who has lost his sobriety, the abused who has returned to her abuser, or the codependent who continues to rescue the uncontrollable. When Gary Craig, the creator of EFT, retired in 2010 he chose not to endorse any particular school of EFT but he did say on his website that the closest thing to learning EFT from the source was his daughter Tina’s program. That’s not surprising since she worked with her father for several years. In her first interview as Program Director for the ACEP EFT Certification Program Tina talks about the growth of EFT, where it is today, and her new program with host Alan Smith of the UnBreak Your Health Podcast. Click here to learn more about Tina Craig and the ACEP EFT Certification Program. Click here to listen to an introduction to EFT with Tina Craig. 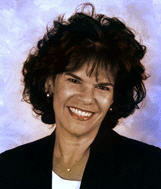 Karen Sherman, Ph.D., has been in private practice for over 20 years. Her first book, “Marriage Magic! Find It, Keep It, and Make It Last” was originally published in 2004 with co-author Dale Klein. She is also a contributing author to “101 Ways to Self-Improvement, Vol. 2,” a featured writer on “Yahoo Personals,” has a weekly blog on ThirdAge.com, and writes the Disputes column for Hitchedmag.com. She is interviewed regularly in the media, and is a frequent guest on both national and international talk radio stations. Dr. Sherman conducts a variety of workshops on relationships and lifestyle issues. She serves on the faculty at CW Post University and she is active in many counseling associations. Karen resides on Long Island, New York, is married and has two daughters. In her spare time, Karen enjoys reading, traveling, and playing Suduko. has accepted the post of Senior Editor for this project, ensuring it will come to fruition.